It was past midnight and I had finished putting away all the dishes. Everyone else was fast asleep and I was exhausted. Growing up, when I was a little girl playing with dolls and toy cooking sets, it was all fun and games. Later as a young adult, it was jokes and banter over the horror stories. It never struck me that as a mother, a wife, I would be this tired and this lost. It was now coming to the end of the fourth month since Emma was born. Every morning, I dragged myself out of bed before the sun rose to breastfeed the sleepy little Emma and express as much milk as I could before work. It was stressful, trying to get my breast pump sterilized, all the apparatus packed so I could express at work and Emma changed before I dropped her at the daycare. I was going insane, rushing every morning in order to make it to work before eight thirty. At work, I struggled as my body wreaked havoc on me. Late morning meetings that dragged on to lunch time were the worst because by that time, I was literally dying to express and having massive let downs in my nursing pads. It became nearly impossible to concentrate on whatever was being discussed during those times. Just last week, I had not positioned my nursing pad properly and the milk had soaked through to my shirt. It was bad enough having my now enhanced curves and cleavage scanned by the older, more lecherous males in the office whilst trying to pretend I didn’t notice or care. But that was the worse day — those same men were watching the stain spread on my white shirt as I tried to pretend that there was nothing wrong. Days like that, I really regretted waking up in the morning and going to work. To make matters worse, my milk supply was dwindling whilst Emma’s demand for milk was increasing. I wasn’t able to express as much at work anymore. I used to be able to express at least eighteen ounces a day my first week back at work, but now after ten weeks, that had dropped by one-third and I was perpetually worried Emma wouldn’t have enough breast milk to see her through until her first birthday. 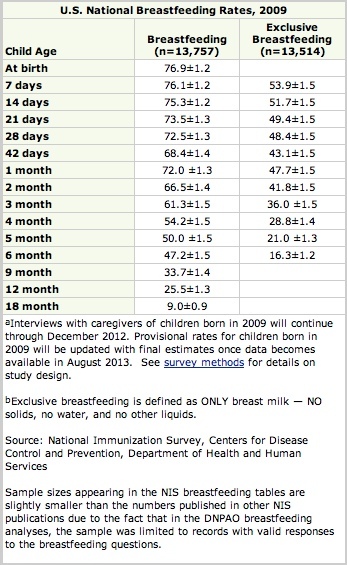 I really wanted to try and fully breastfeed Emma for the first year of her life. I was fully engorged in the evenings by the time I picked Emma up from daycare — feeding her was a relief although I had to hold off feeding her when I got home until my breast pump was sterilized. I needed to catch any excess milk that dripped out uncontrollably from the other side while she was feeding. Every drop had become extra precious to me and I couldn’t afford to lose a single one now. Having just delivered a baby, faced with engorgement as her breasts overflow with milk, where does a woman turn to for help? The one closest to her, the one whom she believes can save her, the one whom she puts all her faith into finding a solution for her .. her hero, her saviour, her husband. Breastfeeding is never easy for a new mother and when her body becomes a stranger to her in the middle of the night, behaving in ways unfamiliar to her, giving her pain beyond anything she ever imagined before, she turns to the love of her life for help. But often … can love be enough when the solution is not what she expects? Desperate times call for desperate measures … but is she desperate enough? She wants to be saved, but when his actions take her beyond her comfort zone, pushing her into the realm of the unknown … is it enough for the ends to justify the means? As a man, he wants to be her hero, her knight in shinning armour ~ the one who keeps her safe … but how can he protect her from herself? How can he stop her from turning on him when the solution he presents to her is something she isn’t ready to accept? And yet despite everything, she still wants her hero to save her.